There are many monumets to see in Pelhřimov. The most significant are Lower (Jihlava) Gatehouse built in the 16th century as a part of the fortification system and Masaryk Square with buildings and houses of different styles from Gothic to the First Republic’s functionalism. 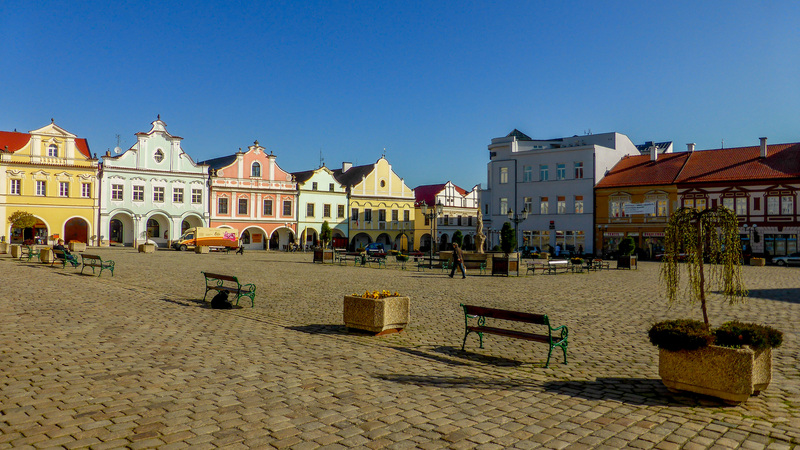 Take the educational trail through all the important buildings to learn about the architecture styles in Pelhřimov. You will see the City Hall, Chateau of the Lords of Říčany, Church of St Bartholomew, The House of Šrejnar Family, etc. Another interesting sight is Křemešník, a mountain near Pelhřimov. The mountain was a traditional gathering place for pilgrims. During 1710-20, a Baroque-style church was built on the top of the mountain extending an older, Gothic church building from 1555). Calvary (stations of the cross) has been built as well. Křemešník belongs to the most important natural preserves here and is also listed as one. 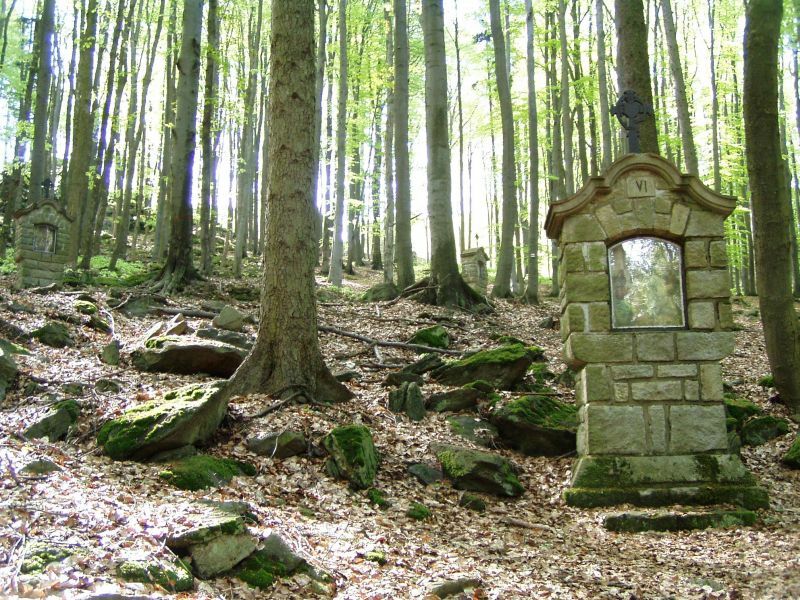 The origin of the pilgrimage site on Křemešník Hill (765 metres above sea level) is linked to the periodic spring of mildly radioactive water that flows through argentiferous ore. Close to the top of the mountain is the famous pilgrims’ gathering place with the church. You can find also skiing slope, the rope center and trails there. European watershed goes through Pelhřimov souroundings, you can see the beautiful landscape “among three hills”. The most popular is the yellow trail leading from Nová Buková through Ecler hill to Křemešník.